24 Hour Locksmith Service for Gulf Shores & Orange Beach. Serving the Alabama Coast since 2008. We are the premier choice for local locksmith service. Call us today for a free estimate! Unlocking Vehicle Doors when the keys become locked inside. Picking locks on residential and commercial doors, where a lockout has occurred. Replacing lost or stolen keys, including car and truck keys, as well as fobs & remotes. Whether you have locked the keys inside your vehicle and need our car door unlocking service, or you have completely lost all of your keys. You will be able to depend on us! Call our local locksmith service 24 hours a day. Don't feel like talking on the phone? That's OK! We also offer online appointment scheduling for your convenience! Our services are available to the Gulf Shores & Orange Beach area. 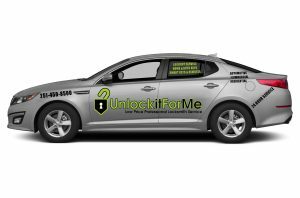 UnlockItForMe offers a variety of and affordable locksmith service for your home, business or vehicle, in addition to our lockout services. Check out all of our offerings for the gulf shores area below. CLICK HERE TO REQUEST OUR LOCKSMITH SERVICES ONLINE. Vehicle door unlocking for Cars, Trucks, SUV and Tractor Trailers. Lockout and Lock Pick Services for Residential, Commercial, & even Campers RV's & Padlocks! Lock Rekeying & Lock Changes for both Residential and Commercial. Lost Car and Truck Key Replacement Service. Virtually All Makes & Models. Transponder & Smart Key Programming with Advanced Diagnostics equipment. Locking the keys in your car or truck will prove to be a challenge for the average person. For instance, It is particularly complicated when you're on vacation and do not have a spare set of keys nearby. Our locksmiths & car door unlocking technicians will respond quickly to your location. Our technicians are expertly trained to unlock all vehicles, new or old, with ease and care. We use the latest available technology for safe and effective vehicle entry. Rest assured your vehicle will not be damaged by our methods. On the other hand, Be warned that a coat hanger or other items used in an to attempt to "Jimmy" the door on modern vehicles will often result in expensive damages to the paint or injury due to airbag deployment. We have the ability to open pretty much any vehicle on the road, from compact fuel sippers to 18 wheelers. When you are locked out of your home, apartment or condo, this is especially frustrating. We are here to help. You've had a long day on the beach, you're a bit overexposed to the sun, what is more, now you're locked out... Great! Our team of locksmiths is ready to serve you! We offer professional lock picking service to assist you in regaining entry. Each of our residential locksmiths is background checked. Whats more, they are individually licensed & we are fully insured for your protection. You will receive prompt, professional locksmith service. We will get you back in, quickly and at an affordable price. Furthermore, no damage will be done to your property, doors or locks. Depend on us for your home security needs. You have to be back at work Monday morning, and Sunday night finds your keys floating away in the ocean. We know this is the last thing you ever dreamed would happen, but we're here for you! To tell the truth, this is an expensive problem to fix through the dealer. Don't worry! Our locksmith will hurry out to your location and quickly get to work on cutting & programming a new key to your vehicle. As a matter of fact, even if your vehicle is "keyless" and has a push-button ignition, that's ok! We are able to service most vehicle makes and models available in the USA from 1999-2019. We come directly to your location! Indeed there is no need to have the vehicle towed. This allows us to save you, even more, money on a lost key replacement. LOCK PICKING ISN'T JUST IN THE MOVIES. Locking the keys inside your home, or perhaps lost the keys to a filing cabinet, storeroom or other secured areas. What an infuriating situation. You need the lock picked. In all honesty, you could attempt this yourself, as many a customer has, on the other hand, this often results in foreign objects such as paperclips, and even the little rubber tips of bobby pins jammed inside the lock, only complicating matters further. Don't risk the property damage. Call a professional licensed locksmith in the Gulf Shores area. UnlockitForMe has a team of locksmiths ready to respond to your lockout needs. If you need a lock picked, give us a call. Please note we will need to verify you have proper authority to access the item or property. Rekeying means readjusting or replacing critical internal parts of the lock. This allows a lock you already have installed to function as it did before, but now with a new key. By providing this service we refresh the feeling of safety in your home or office. Don't worry that some copies of the key are floating around. To lock out unwanted guests, rekeying is the best option. Rekeying is both cost-effective and can be very helpful in certain situations.For example, when you are moving into a new house, you don't know the previous owners or if there were copies of the keys. Another common situation is if you lost your keys, it is recommended to have the locks rekeyed. It is always good to take precautions for safety. Property managers, as well as landlords, often opt to rekey locks once in a while, or when new residents move in. We use the utmost care when unlocking your vehicle. No coat hangers or crowbars here. We use soft tools with special coatings to ensure your paint is not damaged and your weatherstrips do not become cut or torn. Modern cars and trucks use the OBD-II Port for communication with the locksmith's diagnostic tools. As is the case with most products worth having, cheap knock-off tools exist on the market. Some "locksmiths" will use these tools to cut costs at your expense, hoping they don't mess anything up. Using counterfeit or knockoff programmers result in expensive damages to your vehicles security system. Unlock it For Me uses ONLY professional grade diagnostic tools & programmers so you can be confident your vehicle is safe in our hands. We treat customer's vehicles as if they were our own. We will never smoke or use tobacco products while working in and around your vehicle. We provide only the best quality car keys, remotes, and key fobs to our customers. You will never be stuck with cheap quality junk when you hire one of our locksmiths for your automotive key replacement service. We partner with US-based suppliers to ensure a quality product is delivered to you. All keys and remotes sold by UnlockItForMe are backed by a warranty. If you have lost your only set of keys, give us a call today! Our prices are typically much lower than the cost of having the vehicle towed to a dealership. Dealership costs for modern key replacements often exceed $300 or more. For one key! We offer a variety of key and remote replacement options to ensure you get what you need at a price you can afford. If the lock at your business is not properly serviced, things can go wrong without a moments notice. From lockouts and simple lock rekeying to more complex repairs and corrections. If you begin having issues with your current lock or keys we can help you get things back in working order. Our locksmiths can service most commercial storefront locks. If you need new locks, we can assist you with that too. Most of our commercial locksmith services are available same day. Sometimes we may need to order parts, but we will let you know upfront about all your available options. Even if you choose not to use us for completing them. Don't wait until it's too late. We will assess your needs quickly and give you the most cost-effective solution to your unique problem. Give us a call today to assess your commercial needs. No call centers or national nonsense here! Our Gulf Shores & Orange Beach Service area is supported by Licensed Alabama locksmiths who live right here in town. Sugar-white beaches, contemporary food, professional golf courses, charter fishing journeys, wildlife refuge areas and historic sites simply represent a small number of the treasures Gulf Shores has for its guests. In addition, Foley, a city regarding twenty minutes from the Gulf, may be a water-sports paradise. encircled by back bays and rivers, there area unit several opportunities for out of doors recreation and contemporary food. This space is that the good getaway and includes a very little one thing for everybody. No matter what you do here in the gulf shores area, if you find yourself needing locksmith services, give us a call! We're ready to help you out 24|7! We are a licensed Gulf Shores Business! We proudly say we are a legal, licensed & insured locksmith serving the Gulf Shores Area. Beware of bait and switch offers. Our locksmith services are local, honest and dependable. We are a licensed business here in Gulf Shores, AL. License# BL17-000358. Beware of any "locksmith" who dodges your questions, or can't give you an estimate over the phone. A locksmith who has years of experience will not need to see the car before they know how much it will cost to unlock it. 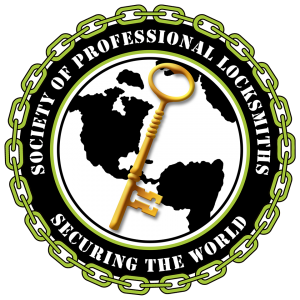 Doing business with local locksmith services in your area supports the community. We can't wait to help you with your locksmith needs here in the gulf shores and orange beach area. Click or call today for an honest estimate. Please enter your legal first & last name. Locked Out. Lost Keys. Rain or Shine, We're on the Way! Our locksmiths are available 24 hours a day to serve you. We can have a trained locksmith technician to your location in as little as 25 minutes to quickly get your home or vehicle unlocked for a low flat rate without any damage. We also make car keys! Outside the Gulf Shores Orange Beach Area? Our locksmiths travel to Bon Secour, Caswell, Cedar Grove, Elberta, Fairhope, Foley, Fort Morgan, Gasque, Gulf Highlands, Gulf Shores, Josephine, Ono Island, &, Oyster Bay. Even Yupon!